Peretele Costilei (Costila Wall) is one of the big 4 climbing walls found in Bucegi Mountains. Several of the old routes traverse diagonally left, leading to routes longer than the maximum height of the wall. 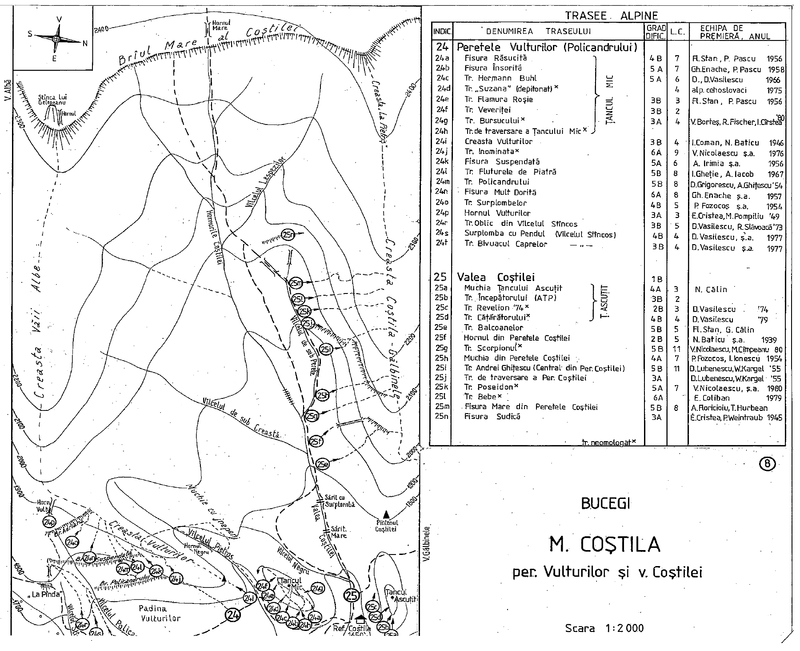 With southern exposure, Costila Wall offers 15 multi-pitch routes which we present in this page in the order of their appearance as we climb the Costila Valley (east to west). Geographical delimitation: seen from Costila Hut, the wall rises from the Costila Valley. Its ridge is names Costila-Galbinele Ridge. On the other sode of the wall (north exposure) you will find Galbinele Wall with Galbinele Valley at its base.